Style Arc Kids Patterns and Applique Templates are here! Style Arc kids patterns are here! We have launched a range of essential children’s patterns and some cute applique designs so you can personalise your me-made garments with a special touch! Check out our brand new kids patterns and applique templates here. When you buy a kids sewing pattern, boys or girls, you get an applique pattern for free! Just add the children’s pattern and applique pattern to your cart and click on the green voucher to claim your discount at the check out! Read on for more information on our new range. Bille T-shirt – short or long sleeve, the choice is yours! Styles such as the Lily Legging are fabulous for all seasons depending on your selected knit weight. 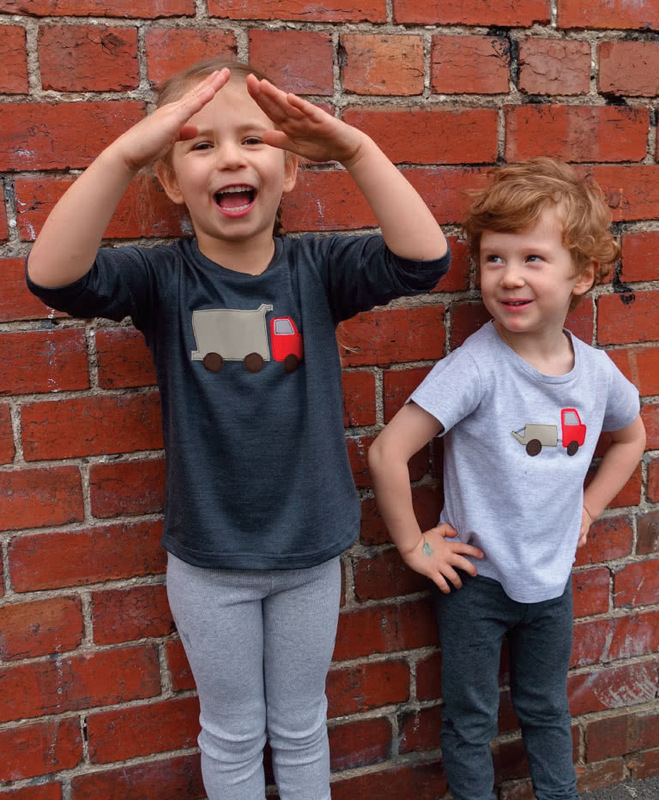 As they grow you can select age appropriate prints/solids to match their changing opinions of what is cool! You will see that the little butterflies applique looks very cute fluttering across the leg. The Lily Leggings pair back nicely with our Billie T-shirt and Sammi Sweatshirt. Billie comes with two sleeve lengths to be flexible throughout the seasons. Looking for a summer dress that is an easy weekend sew? Our Andie Dress is a trapeze shape that is comfy for the fussiest of kiddies. A lovely broderie anglaise would look pretty on the sleeves with a solid cotton dress fabric. 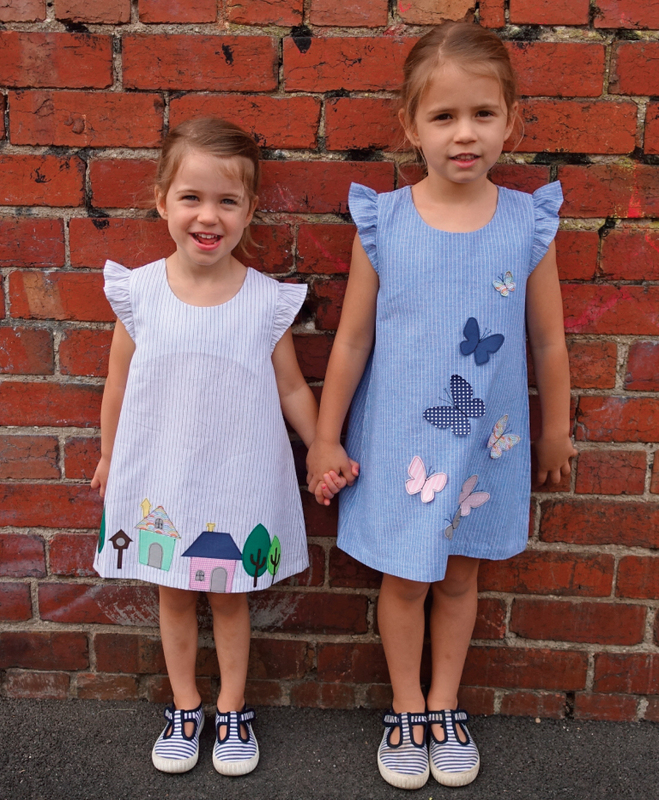 Featured on our Andie dress are two of our Applique designs; the Butterflies for the beginner or the Houses for a more challenging project – the choice is yours! Or perhaps you would like to choose another of the appliques?